Salalah Airport is located 10 KM from the Salalah City Centre giving it a strategic central location to the city and the surrounding places of interests. The Airport is easily reachable from East and West of the Salalah City via the Ittin – Road. It is accessible from this main road through the Airport flyover. The Airport is surrounded by the Ittin plain, and the magnificent range of Dhofar Mountains, which turn into lush green during the monsoon- locally known as Khareef. The Salalah Festival Ground, Concerts Amphitheatre, Lulu and Salalah Garden Shopping mall are just some of the landmarks located in the vicinity of the Airport. Passengers coming from Salalah can directly proceed to Ar Rubat Street originating from 23rd July Road/Al Nahda Street. This leads to famous landmark of Salalah Garden Mall. The exit to the Attin flyover towards right should be followed leading to Attin Road and at the first arriving round about, taking a right turn will lead to Salalah Airport. Passengers coming from Al Sadah should proceed to the Thumrait Road. This will lead to important landmark of Dhofar University. At the Dhofar University round-about, take the exit towards West and this will lead to 18th November road. Take the Airport exit at the end of 18th November road and that will lead to Salalah Airport. The Airport has two designated areas for vehicles pickup and drop off. The upper forecourt area located on the arrival and departure level 1 and the lower forecourt area located in the Apron level. Passengers, meters’ and greeters, as well other Airport users have a grace period of 15 minutes in these two areas, beyond which fees will be applied. Unattended vehicles parking for longer durations exceeding three hours in the Drop off /Pickup areas may be towed away at the expense of the vehicles’ owners. 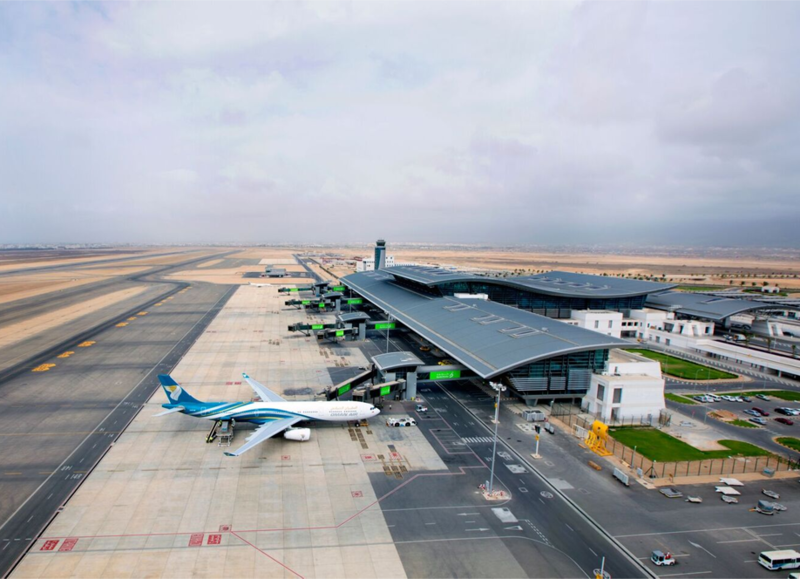 Salalah Airport has been designed in such a way as to maximize customer satisfaction; ensuring hassle free traffic flow to and from the Airport. To achieve this the forecourt area has been divided into three lanes. Lane 1 Special Assistance (PRM), Ambulance, VIPs, and Taxi. Lane 2 For private cars and public cars. Lane 3 For buses and hotel cars. Where Can I Drop Passengers off? 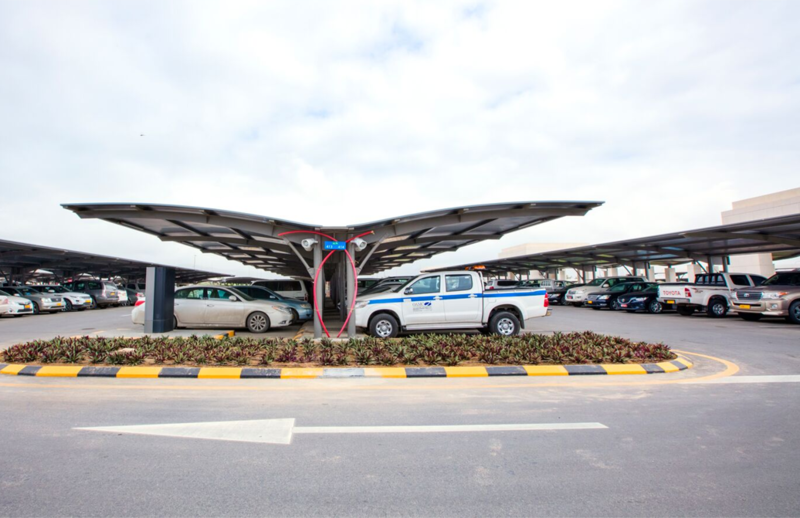 Salalah Airport provides a drop off facility at both the upper and lower forecourt areas. Vehicles that come to the upper and lower forecourt to drop off passengers are only permitted to stay for free for the first 15 minutes. Vehicles staying for more than 15 minutes will have to pay the overstay-parking fee. Trolleys along with porters are available throughout the forecourt areas to provide assistance to passengers. For every additional hours or part off, R.O 3.000 will be added to the previous charges. To avoid delays at the Airport, please check the flight status of your desired incoming flight using our flight information section on the main website or from the Oman Airports Mobile app before leaving for the airport. Family, friends, and well-wishers are permitted to enter the terminal building to wait for and welcome arriving passengers in the upper and lower forecourt designated areas within the permissible grace period of 15 minutes, beyond which overstaying parking fees will be applied as stated in above. Passengers can be picked up at the curbside of the Arrival, meet and greet area of the terminal building. Cars can be parked either in the upper or the lower forecourt areas free of charge for the first 15 minutes, beyond which a overstaying parking fees will be charged and need to be paid at the automatic pay machine available at level zero in the terminal building as well as in the curbside, and the exit of the upper forecourt. Alternatively, Family, friends, and well-wishers can park their vehicles in the Shaded paid Car Parking zones P1 & P2. Parking is available for all airport users whether you are travelling by yourself, picking up or dropping off passengers, or visiting for business. Location In front of the Passenger Terminal Building at level zero. Parking Zone P1, P2 This can be used for short-term, mid-term, and long-term parking. Facilities For customer comfort, the entire passenger car park area has been shaded and is located very close to the terminal building. The car park areas P1, and P2 have Pay Machines placed at convenient locations. These machines accept various denomination of Omani Rial. After the user has paid the parking fee, they can proceed to the exit section, enter the parking ticket and exit once the barrier is open. The grace period after paying the parking charges is 10 minutes. The car park staff are available 24 hours a day to provide assistance to Passengers. The taxi office is located at the forecourt area outside the arrival terminal building (East side) on level 1. All you need to do is to walk into the Car Park and Taxi Management Office and provide them with your destination address. They will guide you through the entire process including confirming the taxi fare along with a slip containing your travel details. 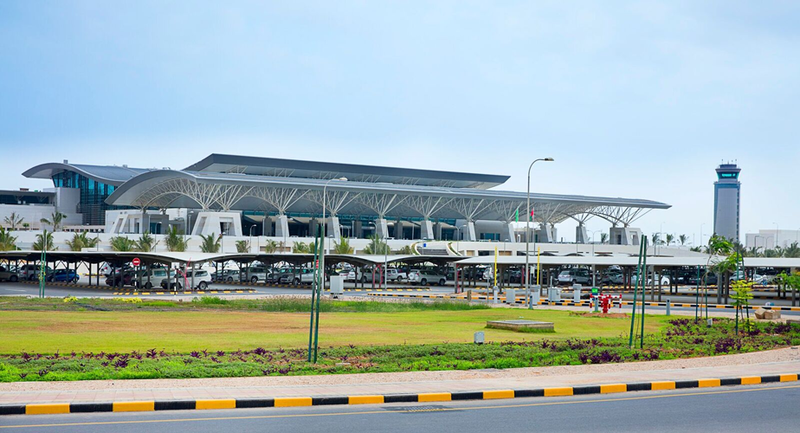 Salalah Airport provides its passengers with a number of car rental options.Vehicles can be hired from one of the various car rental counters located on Level Zero. A good way to see Oman is by rental car. The rental desks are conveniently located in the public arrivals concourse of the terminal at level 0/apron level. Details of the car hire companies are listed below. It is recommended to book your car prior to landing in Oman in order to avoid any disappointment with regards to the availability of your choice of car. This is particularly applicable for all SUVs. All the Rent-a-car counters are located on level zero. 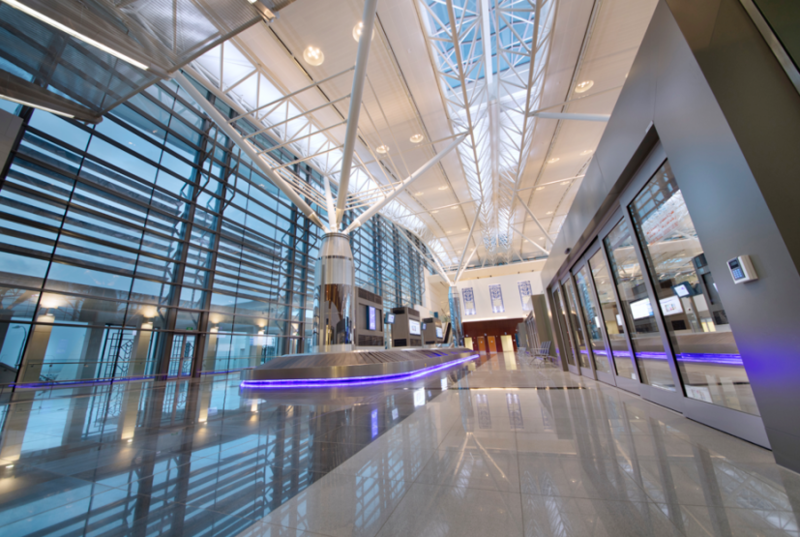 This area is accessible by entering the main Passenger Terminal Building from the ground floor via the Shaded Car Park P1-P2 or while leaving the Airport building from the ground floor. Following are the car rental companies operating at Salalah Airport. For pre-booking and enquiry, the taxi management Office can be contacted on +968 2336 7541 or +968 2336 7540. Note : The numbers mentioned are subjected to be changed. To ensure service, please proceed directly to the counter. Many hotels and tour operators operate courtesy buses to and from the airport for their guests. Arriving passengers are met at the arrivals forecourt dedicated area, after collecting baggage and clearing customs. Please arrange for courtesy buses directly with your hotel or tour operator prior to travelling.